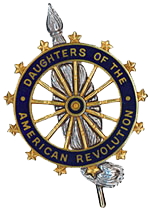 I am pleased to welcome you to the website of the Delaware Daughters of the American Revolution. Our state was described by Thomas Jefferson as the “Diamond State.” 1 Yes, we are a small state with only three counties but we are seven chapters strong. We, as members of the Delaware Daughters of the American Revolution, ascribe to the meaning and sacrifices made by these words. The phrase “United we stand, divided we fall” became a watchword of the American Revolution and continues to have relevance to us Americans today. It is incumbent upon us as Daughters to ensure the sacrifices made by our ancestors and the men and women who continue to fight for our country are not forgotten. I urge you to explore this website and learn about the mission of the Daughters of the American Revolution and the importance of membership. We are a very proud and distinguished society of women dedicated and committed to the rich history of our state and nation. The role the State of Delaware played in the creation of our nation secures our place in the history of the United States of America. 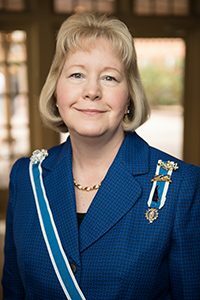 It is an honor to serve as the Delaware State Regent.